Our annual head-to-toe guide to the ski seasons stand out gear. With a number of old standbys and newer brands in tow, we present our selection of the best on and off mountain items you'll want to stock up on for the season ahead. For the ultimate snow athlete, the Quantum combines a plethora of new and improved technologies marking among the best Smith has to offer. Aerocore construction puts more padding in side impact zones, a highly logical strap system and Smith’s own tech for goggle integration. It equals plenty of protection for your noggin on the toughest of slopes. Shred to your own soundtrack this season with Swagtron, a leader in electric rideables, who entered the outdoor market with its Snowtide “smart” ski and snowboard helmet. The Snowtide integrates class-leading safety with a built-in wireless Bluetooth audio system for music or calls on any connected smartphone plus smart sensors that send alerts in the event of a crash or impact. The helmet itself is durable too with an ABS outer shell and EPS inner layer. The Obex SPIN headlines the new offerings from POC. Designed with a multi-impact EPP liner and VPD System Layer. Adjustable ventilation and sliding vent covers suit all weather conditions. 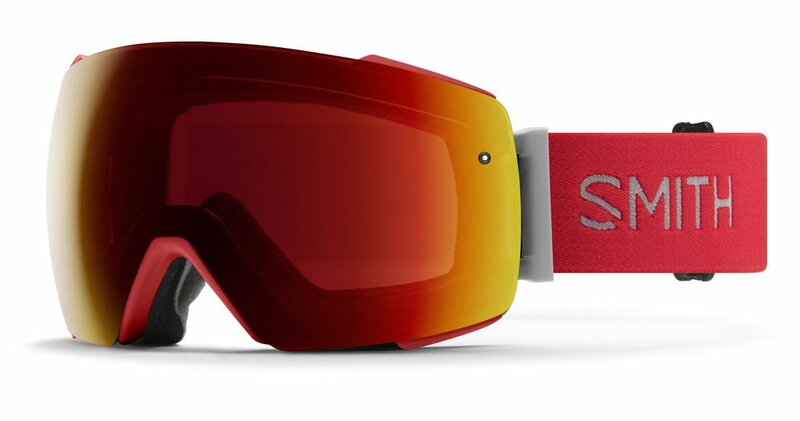 Smith continues its leadership in this category with the introduction of the I/O MAG Goggle. This rimless design integrates 16 waterproof N52 magnets that self-guides the lens into the main position. A one-flip lever offers easy lens switching for varying light conditions. All-new from Zeal Optics is its first-ever cylindrical goggle, the Hatchet. It features an optically tapered lens for distortion-free clarity and an interchange that allows the lenses to lift slightly for hiking without having to change to sunglasses. They’re also expanding their Optimum Polarized Automatic+ lens collection, which is a patented mix of polarized and photochromic technologies, ideal for winter conditions. The new Mach1 HV (high-volume) collection is offered with the high-performance skier in mind. The line features an Asymmetric Power Transmission concept to increase lateral power transmission from the boot. It’s based on a different thickness of the boot structures resulting in improved grip and feel. Available in 130 and 120 flex with a 103mm last. The Mach1 100 MV offers optimal control and comfort. The boot is built on a Mid Volume, 100 mm wide last. For people with “regularly” shaped feet, the MV version is the ideal choice and has outstanding out-of-the-box fit. 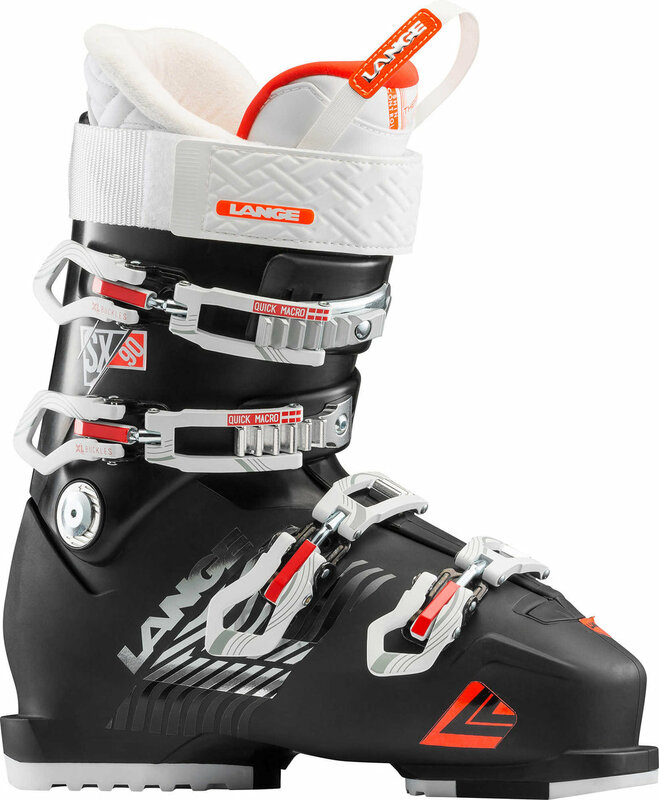 Lange’s story for the season is the new Shin Control technology is based on rigorous testing and research revolving around the needs of the female skier. They concepted a design that relieves pressure on the tibia, which they found was a common source of pain amongst women skiers. The technology is built into new “RX” and “SX” models that increase support and balance shin sensitivity. The brand has a number of updates and new releases headlined by the Race Collection, which has carbon spine (C-Spine) construction and four distinctive elements that contribute and perfect their versions of stability, precision, agility and control. There are two separate options for men and women based on size and specific activity needs. Pete Wagner continues to produce some of the best performing (and looking) custom skis on the market. Based out of Telluride, CO, their “Skier DNA” fitting process is as easy to use online as it is going in and talking to Pete himself. All focused on helping you discover find your perfect pair of sticks. Perfect on powder as they are on the pack, These premium skis feature a sleek all-black style with a state-of-the-art carbon construction for added value and performance. These skis were built upon a similar model to the men’s all-mountain Amphibio, men’s freeride Ripstick and women’s Delight models. A carbon power shells wraps the skis’ internal wood core from each edge for added performance with more power without adding weight. The Daemon Birdie is that all-around, get-up-and-go kind of ski that can adapt to just about any need or ability. A “titanal plate”over 2/3 of the ski adds lightness and agility while the progressive tip and heel navigates soft powder with ease. This is the ski that can take on most terrains and improve the athlete that chooses to take it on. Consider this one of the best hybrid alpine/mountain daypacks on the market. This particular pack was tailor-made for skiing and snowboarding with special loops and straps to carry the gear you need to have an awesome day on groomed slopes or on your backcountry adventure. Advanced composite construction is ultra-light and waterproof while a variety of other features are optimized for wet gear and other challenges you’ll face along the way. Always stylish and always progressive, this French brand has even more to offer for the 2018-19 season. For example, there’s the Glacier ($600), which has a decidedly “racer” feel. There’s also the Ice ($330), which takes the pilot-shaped philosophy to another level with bright color combinations. Few companies use Merino wool as well as Helly Hansen does. From crews to hybrid tops, their options are built for performance and easy care in-between days at the mountain. However, they’re so comfortable, you might even blend them into your everyday rotation too. Sunski sunglasses perform well beyond their $58-$100 price point. Styles range from the Wayfarer-esque Moraga to the more retro Singlefin. All feature polarized lenses (a must for mountain trekking), thermally-coated frames and a lifetime guarantee (a must for any discerning luxury winter enthusiast). The Aspen brand’s most advance jacket combines two different kinds of Polartec to create an insulated jacket that’s remarkably warm and always ready for changing conditions. This is your jacket for those days when the clouds aren’t sure if they’ll clear or start dumping in a hurry. The fifth anniversary edition of this ultra high-end ski jacket is perhaps the best one yet. 4-way stretch Toray Dermizax EV nylon with Schoeller C-Change waterproof wool builds its core and the jacket is 100% down filled. On top of all of that, it’s remarkably well-tailored enough to wear on its own around town. True to form, the Sabre LT is one of the most technically-savvy ski jackets on the market. A variety of features from 3L GORE-TEX to an RFID pocket plus a longer length offer protection from practically all conditions and obstacles that may arise. It’s certainly an investment in your comfort and performance on unpredictable winter days. Aether’s brings their high-brow urban / mountain aesthetic to this water and wind-resistant jacket insulated with 800-fill grey-goose down. They’ve built in much needed functionality with a high collar, device storage pockets, and a rare oh-so-hard-to-find flattering fit. Designed in the rugged environs of Jackson Hole, Wyoming this excellent mid-layer specimen is ridiculously light and features 60 grams of Primaloft Gold insulation. It is slim, easy to wear underneath a technical layer and has one fo the best warmth-to-weight ratios in the game. Much of the same design, style and performance that goes into the Sabre LT was put into this women’s edition as well. Key differences include a longer, more streamlined fit and additional color choices. The Canadian company continues releasing the highest-level performance outerwear. This time with Down Composite Mapping to protect the insulation through whatever Mother Nature throws its way. The jacket includes 3L GORE-TEX throughout with a removable hood. Urban styling comes to life in this lighter piece that could easily double as a suitable mid-layer. The Primaloft Gold insulation fills out a slim silhouette while Velcro pockets keep important belongings safe without taking up crucial hand warming space. A solid ski jacket with all of the performance and none of the fuss. Breathable, waterproof, a helmet compatible hood and great underarm venting. Stio products are known for conquering the mettle of the mountain with ease and grace. If you value performance above all else this is the jacket for you. If it’s good enough for the French National Ski Team, it’s good enough for us. Colmar’s range of jackets, pants (and even a full racing suit) are beautifully decked out in the French red, white and blue with all of the appropriate amount of sponsor tagging so you can feel like you’re podium ready. They also make some snazzy off-mountain men’s gear that can’t be missed. The name of the game here is superior ventilation and cooling. A special two-point system cools and vents from the thigh area and the lower leg keeping things cool while Polartec Alpha insulation keeps things warm and dry on the outer and inner fabrics. These pants take much of the technology from their matching jacket brethren and make an equally compelling winter mountain garment. If the bib is a little too much…functional for your needs, Aether has taken much of the same form and technology and put both into a very desirable snow pant. These pants have a cozy fleece backer with 4-way stretch for optimum comfort and flexbility. This pant continues Strafe use of the Polartec material while integrating plenty of flexibility to move between runs and the backcountry. These are the pants that are meant to keep you at pace, not slow you down with excess. For something a little less urban and a little more utilitarian, Aether’s modern take on the fit of a snow bib completely changes your thinking on how it should fit. Highly water-resistant 3-layer stretch soft shell fabric keeps the snowpack out while shredding pow. This bib also comes with an integrated RECCO safety reflector for extra protection if heading into the backcountry. New from the Swedish heritage brand are the Army Leather Couloir (unisex, $120), which are windproof, waterproof and handsome in a yellow/black colorway. On the women’s side, a number of new mitts options offer performance levels for any winter activity. We’re fond of the Full Moon Mitt (women's, $72), which brings PrimaLoft Gold insulation into a fashionable, long-length silhouette. 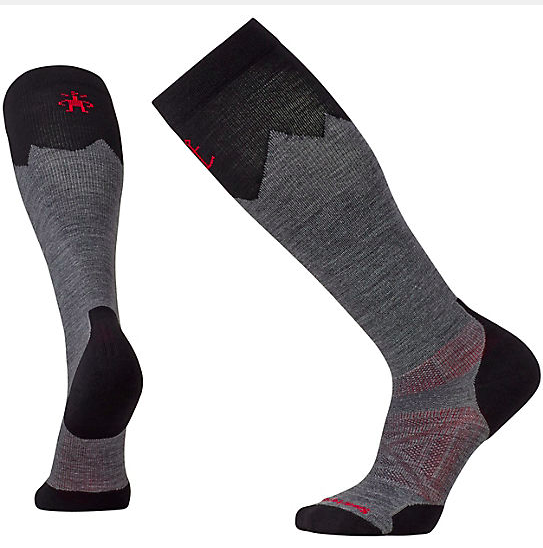 On the women’s side, Smartwool has collaborated with freestyle skier Angel Collinson on a special capsule collection with features specifically designed for backcountry skiing. 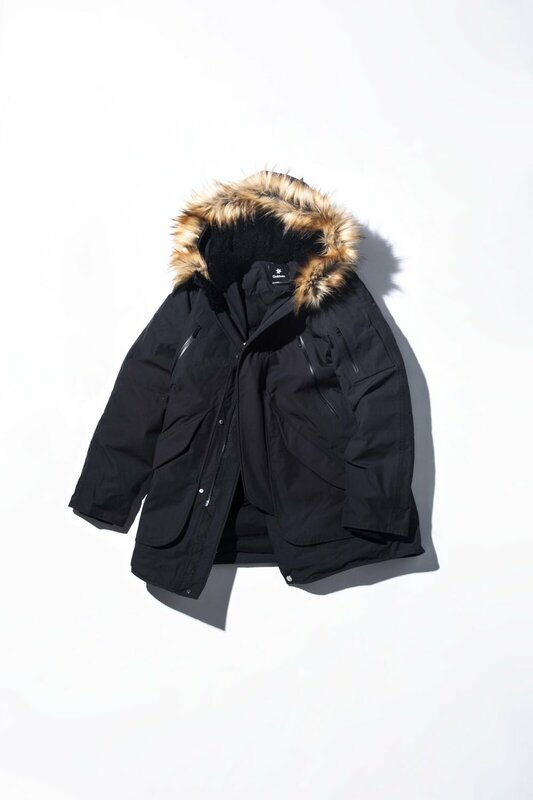 The brand is also launching an insulated outerwear line in both men’s and women’s styles. The “Smartloft Collection” will include a shirt jacket and hoodie, both filled with 60g recycled proprietary wool. We’re big fans of supporting American construction and heritage. When the socks are of the highest quality and durability, that makes things easy too. Darn Tough has a range of cushioning and insulation levels to match whichever activities you have in mind. They’re continually improving and come with a lifetime warranty too. With one of the largest selections of board styles on the market, Burton still sets the standard for riding in terms of off-the-shelf, ready to ride boards. One of our favorites this season is the Family Tree Mystery Fish. With an ultra-lightweight core and plenty of new integrated engineering and refinement, it’s the ride you want on a powder day. This tiny shop in Jackson Hole’s Teton Village is quietly putting together some of the most progressive boards available. This winter, founder Mikey Franco will offer a line of ready-to-shred boards called the RPK Line. Named simply “1,” “2,” and “3”, each one is crafted with a different rider in mind. Of special note is the “2,” which has specific features tailored towards female riders. Suunto watches are essentially mini fitness computers with all of the bells and whistles of a Maybach for maximum impact. This special edition has copper-plated stainless steel bezels, matching buttons and buckles and Finnish handmade craftsmanship. If you’re of the mechanical set, a simple, well-performing chronograph is the way to go on the mountain. This edition from TAG is racing-inspired with three separate counters (that happen to be great for timing runs too). It’s also casual enough to be the one timepiece you bring to the mountain - because who wants to swap out watches when there’s après to be had? Out of all of the “lifestyle” brands out there that try to merge performance into a city-ready package, this Minnesota outfitter is among the best. F+B’s clothes are purposefully minimal by design, but have plenty of top-tier performance built into their lineup. The Passage Hooded Jacket is filled with DownTek water-resistant down and the fabric is covered in a water-resistant laminate. It’s built into a tailored structure that won’t add bulk as you head from the lodge to a night out. Herno’s first completely waterproof, windproof, breathable down jacket is a technological marvel for the 70 year old brand. The GORE-TEX outer layer is both ultra-lightweight and tear-resistent while its weight splits the difference between a ski mid layer and après casual wear. Light enough to fit underneath a heavier technical layer on the hill, yet fitted enough to wear solo over Hot Toddy’s. Herno has built plenty of legendary Italian craftsmanship into this bomber, which will last you many, many seasons. The venerable Japanese brand brings their trademark oversized styling and superior performance to a heavy winter parka meant for traipsing around town in supremely chilly conditions. Its Pertex Nylon fabric feels like a worn-in canvas, but performs like the technical textile in your favorite ski jacket. This garment also includes 3D seamless baffle structuring on the inside for added warmth furthered by the mountain-like oversizing. The detachable hood with eco-friendly fur is a nice touch too. The LAVEDAN is a prime example of outdoor performance merging with high-fashion. The camouflage styling is functional, but also has a note of styling to it that would make this jacket extremely appropriate for wandering mountain towns from Aspen to Zermatt. This down quilted satin outer layer is also cut just a bit shorter for a more tailored fit. We like this jacket because it is unlike anything we’ve ever seen in a mountain town before. The Badyp is down-filled, covered in wool mohair and is the perfect balance of form, function, and eye-popping style. This is a truly unique piece that’ll surely be the talk of the lift line. Merino wool treated with water repellent knit in Milan and extremely durable. Aztech continues to produce the highest quality “Aspen appropriate” attire that blends performance and style seamlessly. What’s not to like?